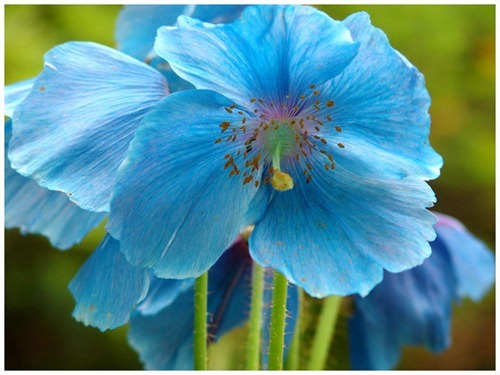 Himalayan blue poppy—it’s original name is Meconopsis Betonicifolia. It is native from southeastern Tibet and was discovered in 1886. They are very difficult—if not impossible—to grow in warm climates. Research has shown that when exposed to temperatures warmer than 70 degrees—these cold loving plants begin to die. The Himalayan poppy comes in various shades of blue, purple, and sometimes white (below are ones of the lighter shades of blue). It tends to be smaller than usual red poppies. 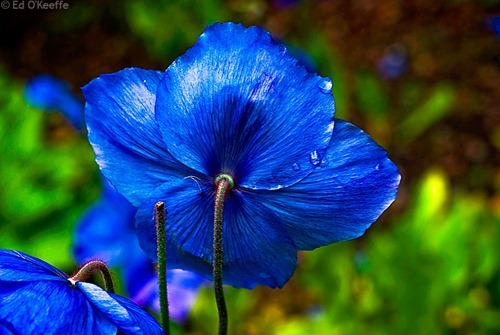 As well, the blue flower usually has a number of blossoms per stem. 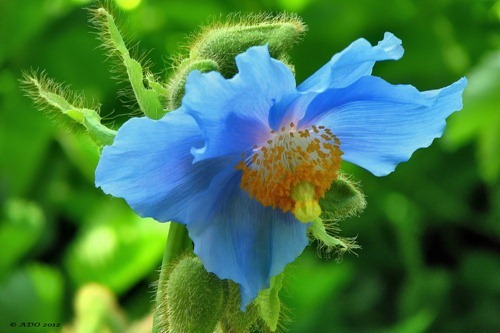 The Himalayan Blue Poppy has no scientifically accredited medicinal value. Secondly, it has no fragrance. Yet its rarity, its allure and, above all, its origin in the mysterious, exotic, hidden land of Tibet, to the credulous gives it a magical aura of contributing to well-being. 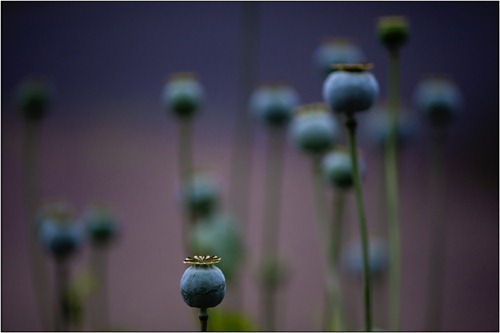 At least that is the thread picked-up by a number of crackpots and charlatans, as well as reputable companies, infusing the flower with qualities it doesn’t possess —find more at Exploiting the Allure of the Blue Poppy. and by estee-12. Enjoy the rest of album of poppies—pure eye candy! What a gorgeous blue! Thank you for sharing this exotic color.